Last chance! Accepting late entries for the Sterling Bank Washington Open Invitational! NO CUT at the Sterling Bank Washington Open Invitational! We are still accepting entries for the Sterling Bank Washington Open Invitational at Meridian Valley CC. The Drive Fore The Cure Northwest Pro-Am is being held on Saturday-Sunday, May 18-19 while the Sterling Bank Washington Open Invitational is Monday-Wednesday, May 20-22, 2013. 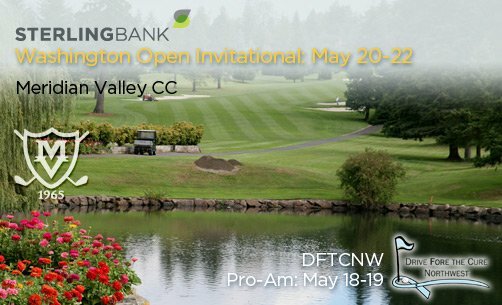 CLICK HERE for the Sterling Bank Washington Open Championship Professional entry. CLICK HERE for the Sterling Bank Washington Open Championship Professional online entry. CLICK HERE for the Sterling Bank Washington Open Championship Amateur entry. CLICK HERE for the Sterling Bank Washington Open Championship Amateur online entry. Back by popular demand, we are returning to the 54-hole stroke play championship format with a twist…..NO CUT!!! You asked for it, so we delivered! You will enter as an individual; there will be no team competitions in the 87th Sterling Bank Washington Open Invitational. The 2013 Drive Fore the Cure Northwest Pro-Am benefits Seattle Cancer Care Alliance and Prostate Cancer research. For more information, please visit www.dftcnw.org. Meridian Valley CC has hosted the 1972, 1976, 2002, 2004, 2005, and 2009 Sterling Bank Washington Open Invitational, as well as the SAFECO Classic from 1982 until 1999. 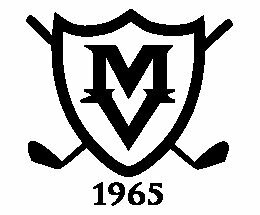 MVCC has grown into one of the Northwest’s most respected golf courses to the credit of the founding members who successfully achieved their goal to develop a first-class golf club.